Netflix may finally have a legitimate shot at winning a Best Picture Oscar this year with Roma, but in order to make that happen, they’re going to have to spend millions more than the competition on their awards season campaign. It’s no secret that Netflix is happy to outspend rival studios on content. It’s expected that they’re going to spend as much as $12 billion this year alone. But the world’s largest streaming service doesn’t need to be concerned with box office totals. What are they concerned about? Awards recognition. And they’re willing to spend big money to get it. 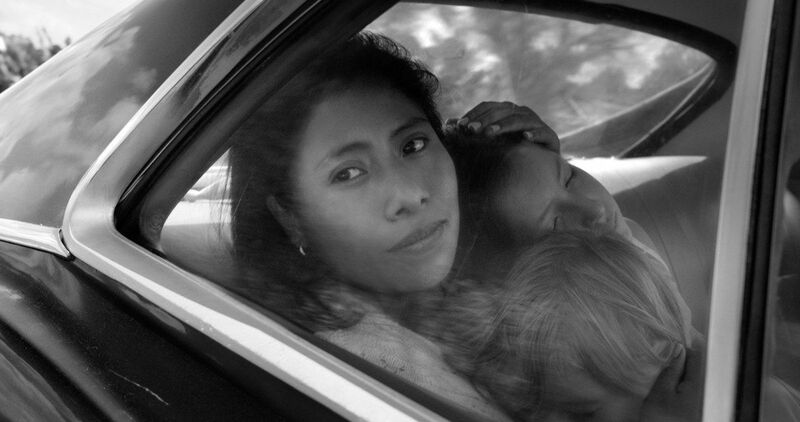 Roma, the highly-acclaimed drama from director Alfonso Cuaron, a man whose work Hollywood already tends to adore, has been an awards season favorite this year. It’s largely expected that it will be nominated for several major awards when the Oscars nominations are announced, including Best Picture. While this is no doubt owed in large part to the quality of Cuaron’s latest, it’s also thanks to Netflix’s very deep pocket book. Here’s how one unnamed publicist put it. Case in point, it’s said that the campaign they’ve put together for Roma is the most expensive since The Social Network, which apparently cost $25 million at the time. The fact that Netflix is willing to spend that much, or more, for a movie they’re gaining no box office from, is incredible. Not to mention that it’s a long shot in any year to ask the Academy to award Best Picture to a black and white, foreign language period drama. Ahead of the Golden Globes, the company sent Oaxacan dark chocolates with a note signed by Yalitza Aparicio, the lead actress in Roma, to voters. The company also sent out a Roma coffee-table book and a poster signed by Cuaron, which came either framed or rolled, depending on the recipients preference. Netflix even set up an immersive experience based on the movie on a Hollywood production stage and hosted cocktail parties to honor the movie, even managing to get Angelina Jolie to host one. Not to mention the staggering money they’re spending on ads, including a full two-minute ad on CBS Sunday Morning, which reportedly set them back $170,000. As one publicist put it, Netflix is even causing some jealousy at rival studios with the way they’re willing and able to spend. Harvey Weinstein, prior to being exiled from Hollywood amidst his various sexual assault scandals, was known for being able to deliver awards. Netflix head Ted Sarandos is hoping he can get his company in a position to do the same. Last year, Mudbound scored Netflix four Oscar nominations, but it went home empty handed. Will Roma suffer the same fate? We’ll soon find out, as the Oscar nominations are set to be revealed on January 22, with the Academy Awards ceremony scheduled for February 24. This news was first reported by Fast Company.